The International Chess Federation (FIDE) has become the latest governing body to officially launch its bid for inclusion at the Paris 2024 Olympic Games. 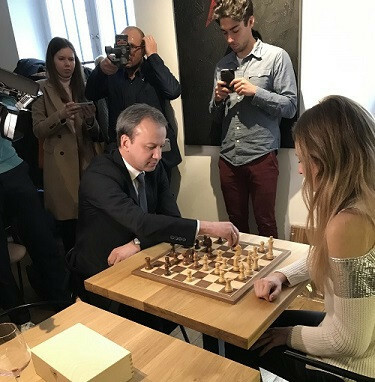 FIDE President Arkady Dvorkovich was among those in attendance at a promotional event held in the French capital. The FIDE are campaign for the the faster formats of the game - rapid and blitz chess - to be added to the Paris 2024 programme. Dvorkovich, the former Russian Deputy Prime Minister who was elected to lead the organisation in October of last year, was joined by representatives from France at the launch event in Paris. 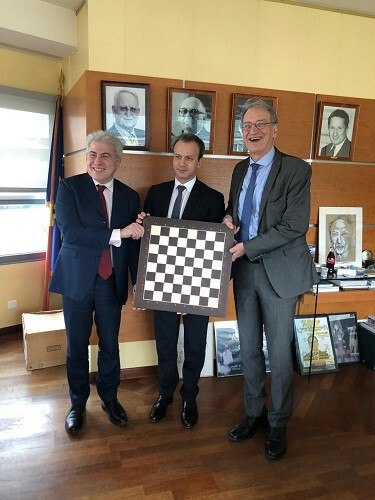 French Chess Federation President Bachar Kouatly and international master Sophie Milliet, a six-time French chess champion, were present along with Dvorkovich to promote FIDE's bid for Olympic inclusion. FIDE claim chess is a "sport with genuine global appeal" as the governing body highlighted how it has a membership of 189 National Federations. The organisation also claim 600 million people around the world practice chess in some form. "Chess is also growing in France, where 67 per cent of the members of the French Chess Federation are aged under 18 years old," the FIDE added in a statement. Chess was an exhibition sport at the 2000 Olympic Games in Sydney but has never featured on the full programme. Chess, turned down for inclusion at Tokyo 2020, joins others such as squash, snooker and Trial-E, an electric competition format governed by the International Motorcycling Federation, in announcing its bid for inclusion at Paris 2024. All the new sports set to feature at Tokyo 2020 - baseball and softball, karate. 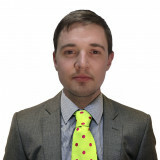 skateboarding, sport climbing and surfing - are also hoping to be included at the Games in the French capital.